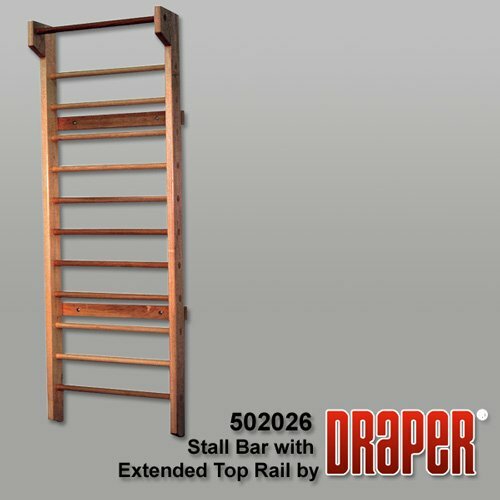 Mount single Stall Bar sections separately or in a continuous row. Each section is 2'10" wide and 8' high with eleven rungs of 1-1/2" diameter solid oak. Rungs are finished with a clear lacquer and secured to the uprights to prevent turning. Each section weighs 75 lbs. Assembly hardware and mounting instructions included. To meet the requirements for specific wall construction, installer provides hardware for mounting wood pads to wall.